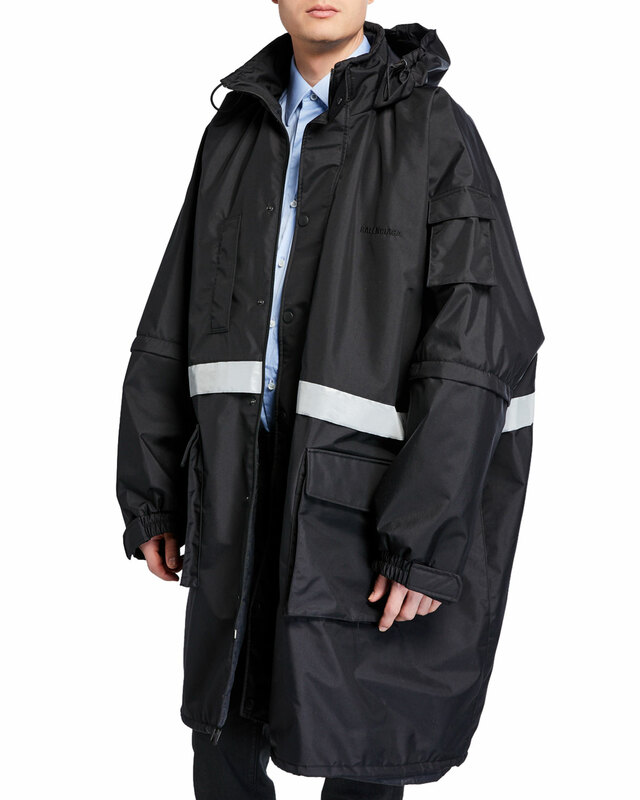 Balenciaga water-repellant parka in technical fabric with reflective stripes. 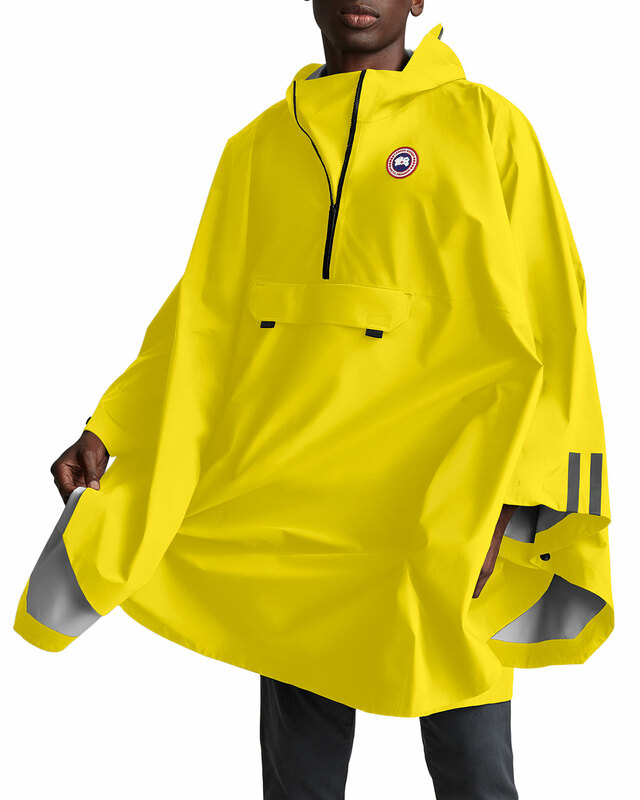 Drawstring, foldable hood; snap front. Zipped sleeves with two length options. Slip pocket at right chest. 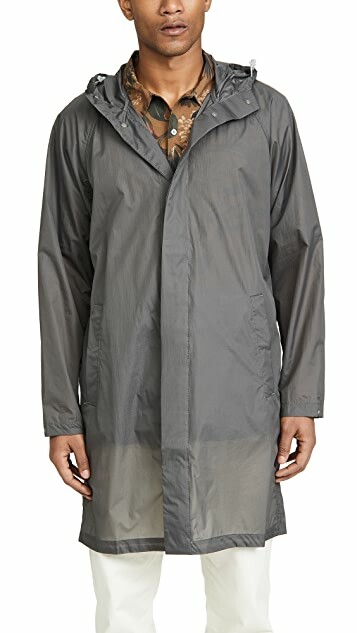 Canada Goose “Field” poncho in water-resistant coating. Hooded neckline; quarter zip front. 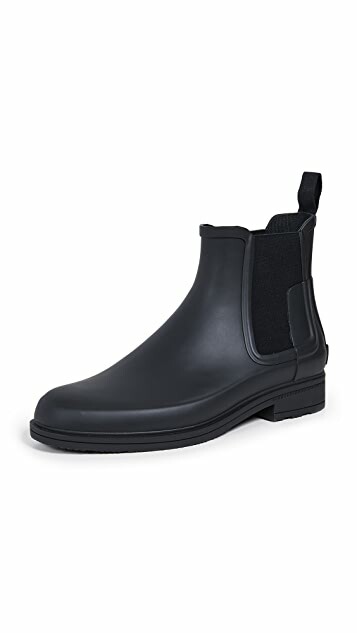 Step out into the rain with confidence in a pair of trusty Hunter Boots. Designed with a classic chelsea profile, this pair provides all the protection you need in a slimmer package. 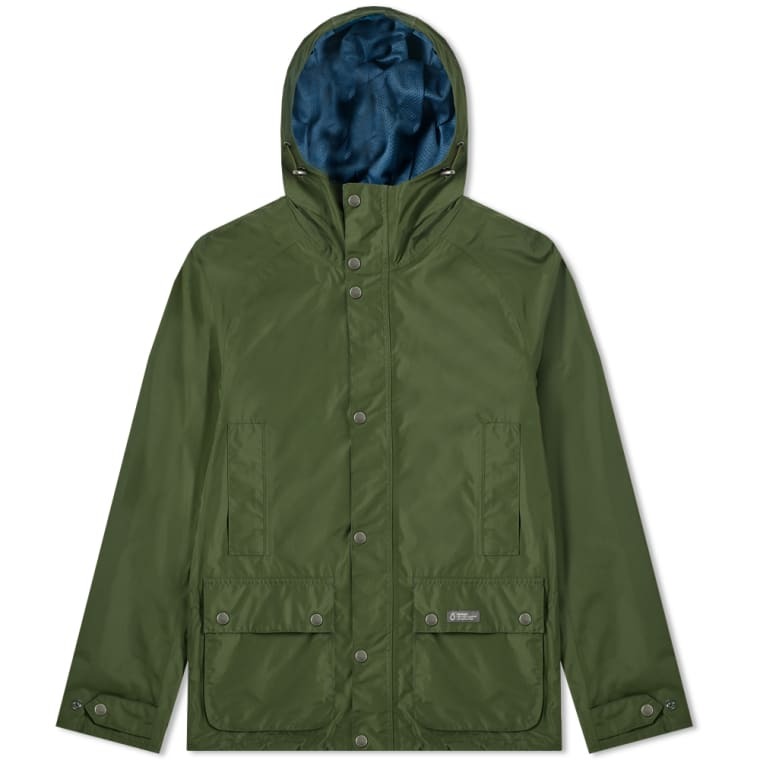 Canada Goose “Seawolf” jacket in water-resistant weave. Hooded neckline; snap-placket hidden zip front. 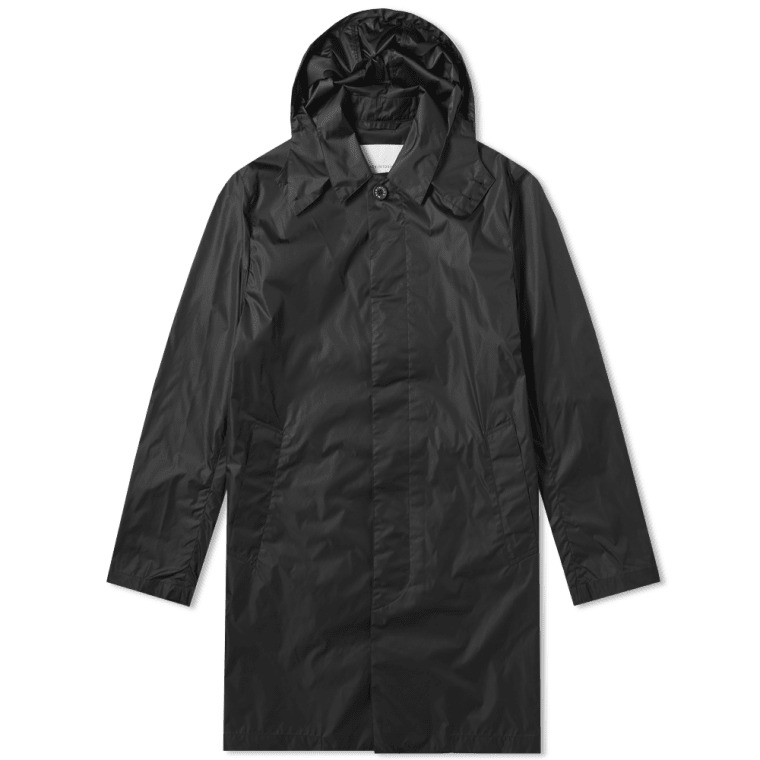 Trimmed with drawstring adjustments at the hood, Mackintosh’s nylon blend mac is dressed in all-black and as been made in the UK to exacting standards. 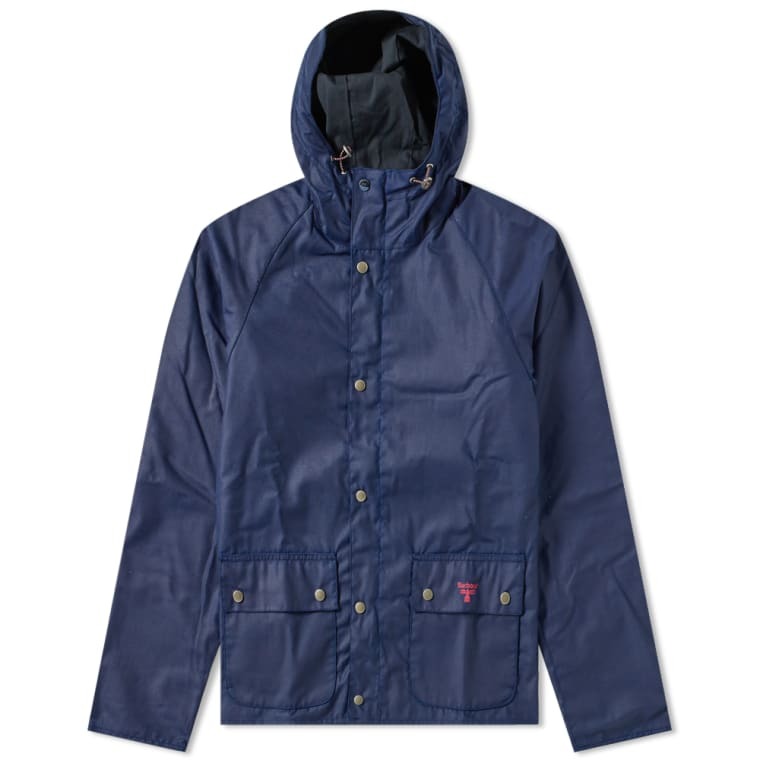 Kitted out with angled welt pockets at the front, this weather resistant piece is secured with a row of trusty branded buttons.